Recently I realized that my home PC is overheated. It frequently restart by itself, then halted with the BIOS showing CPU temperature error. 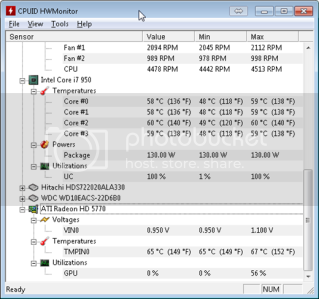 BIOS’ hardware monitor shows that the CPU temperature is ranging between 90° to 100° Celsius. Yet, I’m still unconvinced about it. 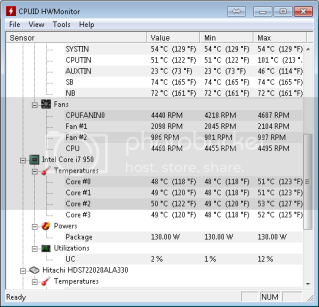 To find out the actual CPU temperature, I installed Hardware Monitor. In normal operation with no programs running in the foreground, the CPU temperature was ranging between 70-80° Celsius. On heavy operation, like simultaneously open few projects in Visual Studio 2012 the temperature frequently hit 100° Celsius. I become really really worried when I read Intel’s product page. It states that the T-Case (the maximum temperature allowed at the processor Integrated Heat Spreader) is 67.9° Celsius. It means any temperature beyond 67.9° will shorten the lifespan of my CPU. I quickly open Fuwell’s website and open up their price-list. 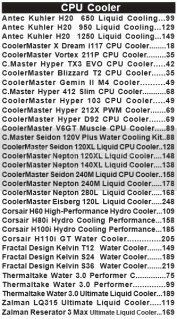 Since I’m currently using the stock CPU Cooler, I guessed that Liquid CPU cooler is the obvious replacement. Considering that I have no prior experience in installing liquid CPU Cooler (and I generally sucked at hardware), I went to YouTube for wisdom. Alas, there’s no installation guide for KÜHLER H2O 950. Instead, I found the installation guide for KÜHLER H2O 920. I kind of guessed that 920 and 950 will not be significantly different. Thus, I continue to watch the video till the end. Eventually I found out that 920 and 950 are significantly different. The liquid on 950 go through the fan as well as the radiator. So if the fan stopped working, we can’t replace it with any custom fan. Cleaning up. My PC has collected many dust. Even my GPU’s heatsink is clogged with dust. My ATX casing is from older generation. To install the backplate (to hold H60 firmly), I need to detach my motherboard from the casing. It took at least two hours for me to complete the whole process. Luckily, I got the result that I want. I guess that’s all, I hope it helps.